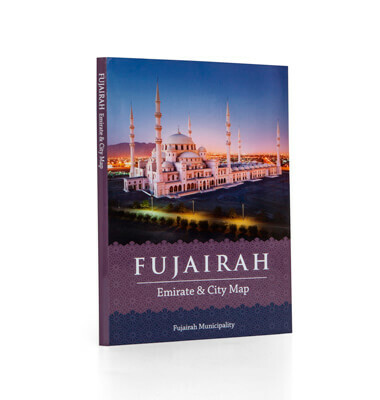 The award-winning cartographers and designers worked for Fujairah Municipality to produce an English map of Fujairah covering the emirate’s roads, area names, significant buildings, attractions and new developments. Using satellite imagery, definitive icons and clear legends, all Fujairah’s hospitals, beaches and hotels were clearly marked out for visitors to find. The size and specifications of the map complied fully with Fujairah Municipality’s brief and promoted this beautiful emirate to future visitors.